If you have any major events scheduled this August, it’s time to plan your limo service. That’s right. Don’t try to cram everyone into your car. Hire a limo and arrive in style. Whether it’s a beach festival, a concert or a wine tasting, get there in luxury and comfort. Los Angeles, Orange County and Ventura County all have events throughout August and all year round. If you’ve been trying to come up with a special occasion to treat yourself and your friends to a limo, there’s not shortage of events going on. Pick the right event, gather some friends and enjoy a fun day and evening out. Many people have begun to realize how wonderful it is to take a limo to big events or even just for a romantic dinner. This makes it more important than ever to hire a limo as early as possible. When you plan your limo service, think ahead. Scheduling last minute may mean you don’t get the limo you want. While a few months in advance is usually advisable during peak times, a few weeks or more is a good idea to make sure you get the perfect limo for your needs. Talk to the limo service to plan out the timing. You may know where you want to go, but you might not know how long it takes to get from Point A to Point B and any points in between. You’ll need to let the service know how long you’ll need the limo. Work with them to discuss timing, including how long you plan to spend at each destination. This will ensure an accurate quote. Why just settle for a single destination or event? Plan your limo service for the entire day. Let yourself be chauffeured around shopping and eating. Go to a daytime concert in a park and then to a symphony performance at night. You deserve to enjoy yourself, so make the most of the day. Cost is often the one thing that stops people from hiring a limousine. While limos are more affordable now than ever before, there’s one thing you can do to offset the expense – split the cost. You’re not the only one that wants to have a good time this August. Get a group together and split the cost evenly. Instead of $400 or more all on you, everyone pays less than $100 for fun all day long. Maybe you know you want to hire a limo, but you just don’t know what to actually go do. Not a problem. All it takes is keeping up with the latest events calendars in your area. 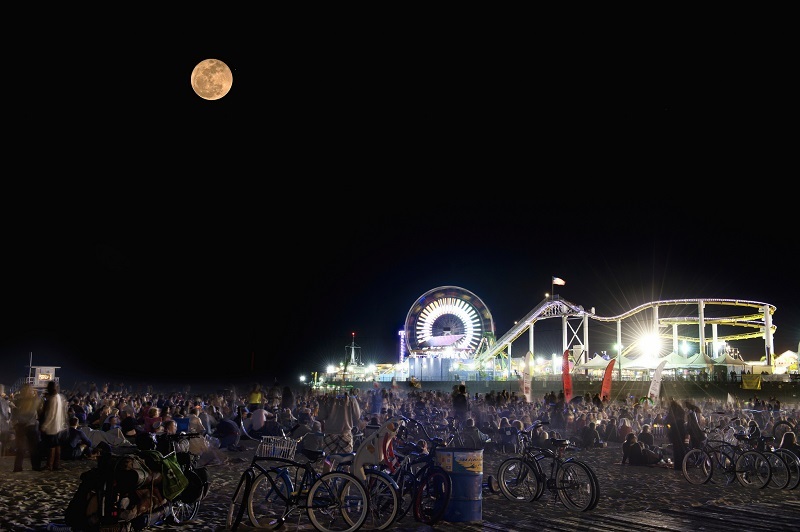 Try An Evening On The Beach in Los Angeles or check out the Nisei Week Japanese Festival. The month is filled with concerts, special museum exhibits, festivals, wine tastings and more. All you have to do is clear your schedule and plan your limo service. Whether you just want to get away for August or any other time throughout the year, consult these calendars and you’ll always have plenty to do. What are you waiting for? Get out and start having fun. Find the perfect event for you and your friends and plan your limo service. Remember, the earlier you plan, the easier it is to get the limo that’s right for you. No matter where you choose to go or which limo you choose, you’ll be guaranteed a memorable, luxurious experience. Who knows? You may even make an annual thing out of it. Have your event, but need a limo? Contact American Limousine Service today to hire a luxurious limo today.